Christmas time is sneaking up on us. Thankfully it is still four months away. Which means I can put off shopping for another 3 months. And planning for another 2-1/2. Planning and shopping for the perfect gift. The one that will be used and appreciated. How often we search and search for the perfect gift for someone and come up empty and frustrated? I love that one of the titles of God is the Giver of Every Good and Perfect Gift. (James 1:17) God is able to give good and perfect gifts because He intimately knows each one of us, He owns the universe, and nothing is impossible for Him to accomplish. God gives us gifts for nourishment, healing and to use to serve Him. 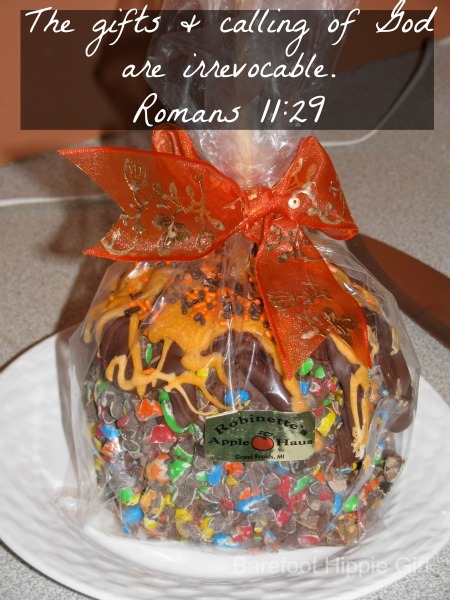 Join me over at Womanhood with Purpose today (here) to read more about gifts and ministry.